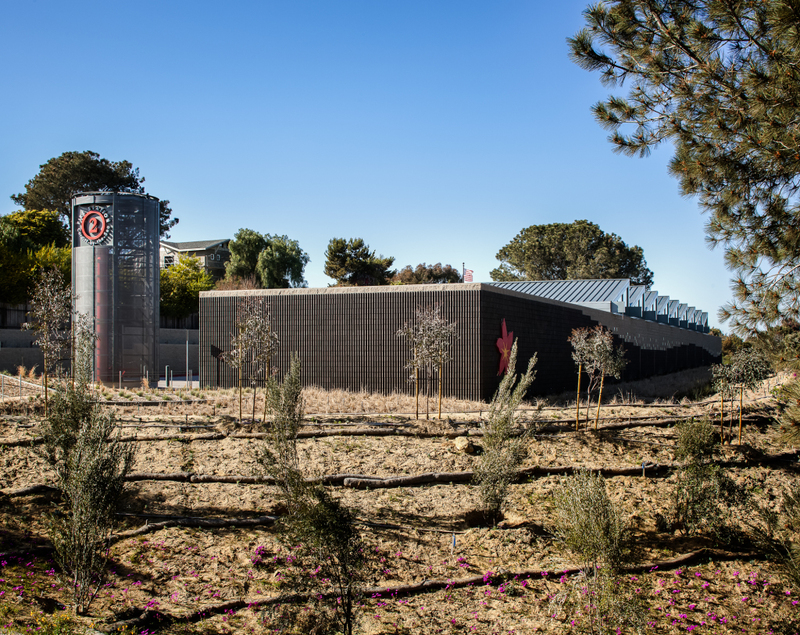 Local flower fields and greenhouses inspired the design for Encinitas Fire Station #2, which was unveiled to the public on Feb. 22 and has been serving the community since early January. Located at 618 Birmingham Dr. in Encinitas, the facility designed by San Diego Architecture firm domusstudio replaced the outdated Fire Station #2 building. The new fire station is highly visible along Interstate 5 in Encinitas, and is located just east of the previous station site. 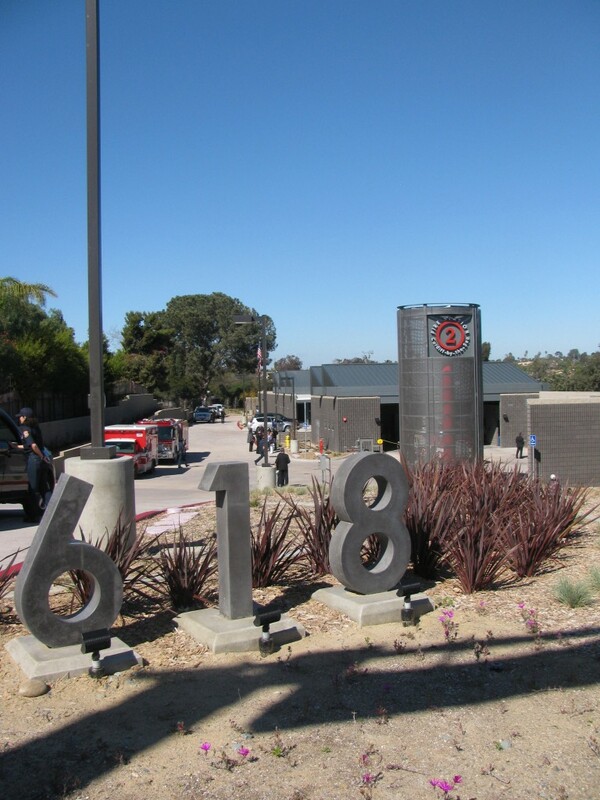 The fire station serving approximately 60,000 Encinitas residents while providing mutual aid to surrounding communities incorporates sustainable design elements that align with the US Green Building Council’s LEED Silver certification. Such elements include the use of regional building materials, a storm water quality-control bioswale that removes silt and pollution from surface runoff water, and drought tolerant landscaping. The design also allows for the future installation of photovoltaic panels. According to Holtan, the building was designed to mitigate freeway noise with the use of a continuous decorative concrete masonry wall fronting Interstate 5, with incorporated elements that respond to freeway visibility. The colors are shades of gray and the masonry incorporates offsetting faces with heavy textures. The roofs are sloped, with standing seam metal facing south to allow optimal sun orientation and efficient solar collecting by the future photovoltaic panels. Between the masonry wall and sloping roof, clerestory windows are formed that allow for effective interior day lighting. Other features include a freestanding hose-drying tower. The tower is cylindrical in plan and covered with perforated metal panels to enclose the hose drying lift. The new fire station complements Encinitas Fire Station #5 and Encinitas Fire Station #3, also part of domusstudio’s portfolio. 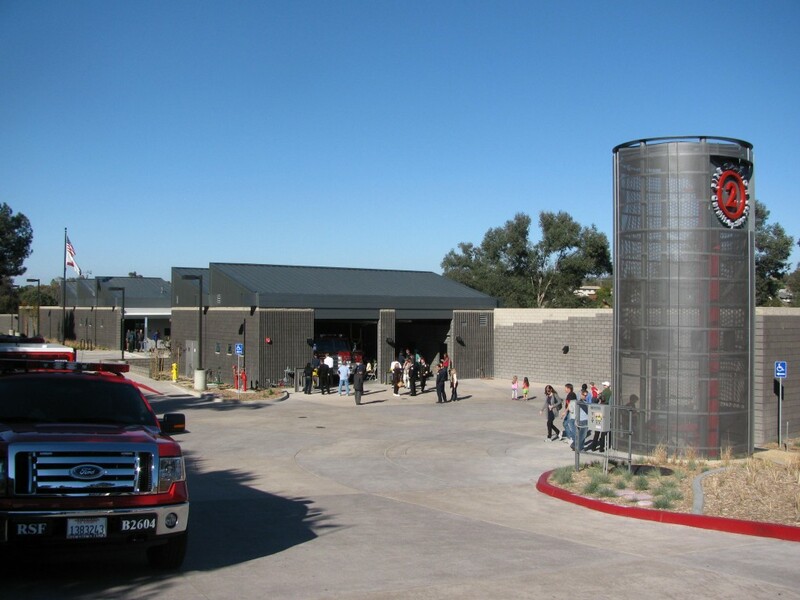 Construction of Fire Station #2 was completed by Balfour Beatty. San Diego Architecture firm Domusstudio Architecture (established in 1986 as Dominy + Associates Architects) is an award-winning firm practicing creative, sustaining, enriching design including sacred, educational, civic (fire stations/libraries), senior housing and custom residential projects. For more information, call (888) 939-9393. Please join domusstudio architecture and the City of Encinitas for the grand opening of Encinitas Fire Station 2. The greenhouse-inspired, LEED Silver-rated station marks our third station for the city. Grand opening festivities include a formal dedication, facility tours, mementos and refreshments. Time: Opening ceremony begins at 2:00 P.M.